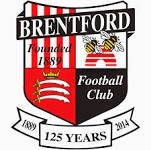 Born 2 miles from the ground, was my local team for 17 years (before we moved). Family supports them. Servers are shocking...and they want to become a major eSport!? The epic sax guy is back for Moldova!! Great pull Peter. As they say...no risk, no reward! An enormous moment for the pack pulled club! Fantastic achievement. Well done Peter! Mike wrote: » Don't really know how people are using him but I found him abysmal. Got 3 goals and 2 assists in 18 for me. Glad I'm not the only one then!